Installation is simple because the ASE docking station has all the advanced circuitry integrated into the single-piece, docking cradle. Mount the dock, connect the antenna, dock your 9505A satellite phone and you are ready to communicate anywhere in the world. The ASE-MC03 docking station easily integrates into your building or vessel infrastructure using the POTS(RJ11) interface to connect to your PBX or standard analog phone. For data usage, connect to the internet over the RS232 data port. For resilience centers, a common installation has the docking station installed in the emergency room with the RJ11 interface connected into the backup PBX or emergency comms. The docked 9505A is available as the communications channel within the building, yet also available for situations that require “grab-and-go”. Intelligent Dialing -The docking station knows the correct format for the country that is being dialed and places the call once the number is entered. Smart Dialing eliminates the superfluous “00” IDD code (no more international dialing sequence). Versatile Power Input. 10 - 32 VDC input range supports power systems on most vehicles and marine vessels. 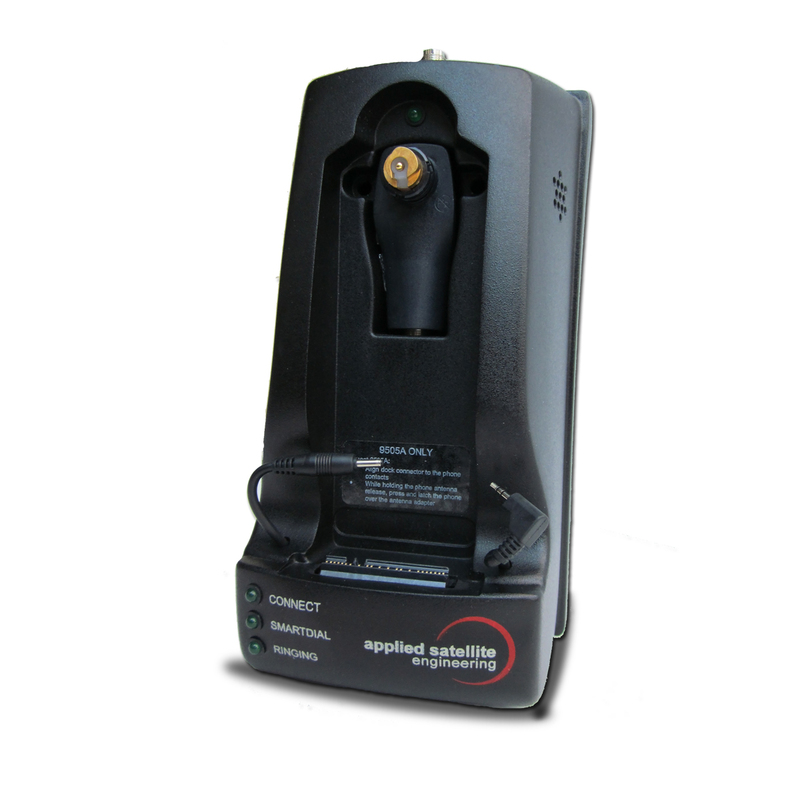 An included universal power adapter allows 100/240 VAC, 47/63 Hz operation. RJ11 Connect. Connects to an analog phone (single or PBX) including multi-handset wireless phones. Use of a cordless phone with expandable handsets can provide up to eight units within a two-mile range (unobstructed) from the base station. Built-In Antenna Holder - Convenient antenna storage while docked. Click the button below to add the ASE-MC03 Iridium 9505A Docking Station to your wish list.